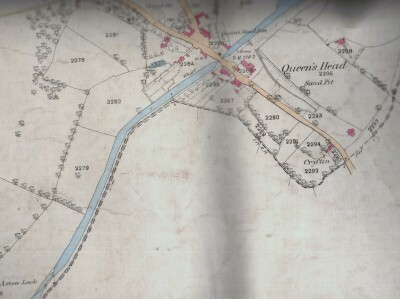 1875 map showing the canal wharf at Queens Head. 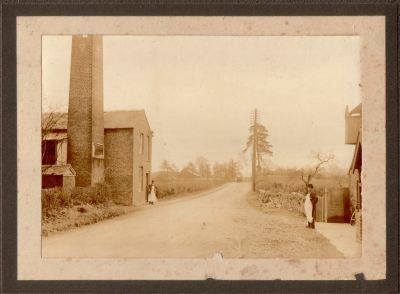 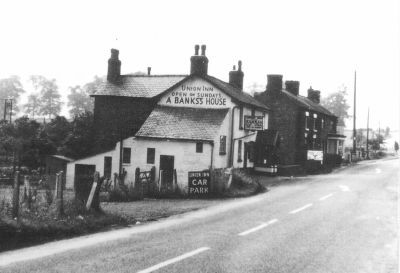 Note the tramway which leads from a small sand pit under the Rednal Road and onto the canal side. 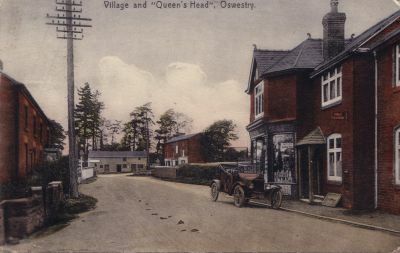 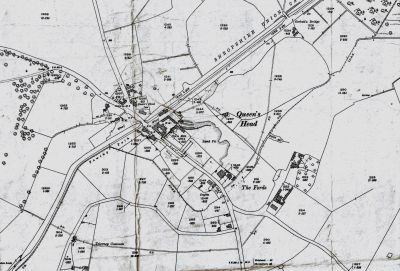 1926 map showing Queens Head. 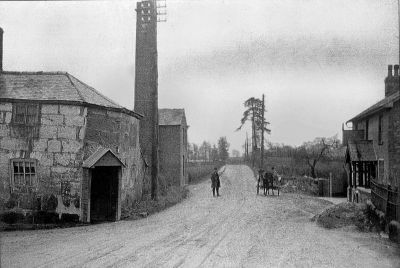 Note the tramway leading from the enlarged sandpit but only going to the yard of the Corn Mill which was the mill in the next photo.